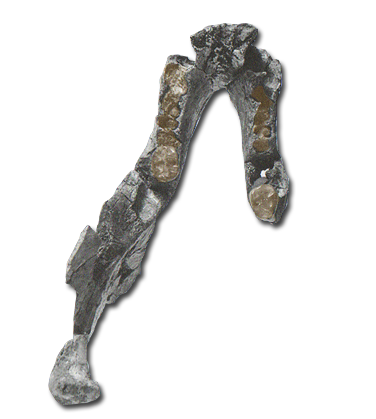 Turkanopithecus kalakolensis was a medium sized, arboreal quadruped. 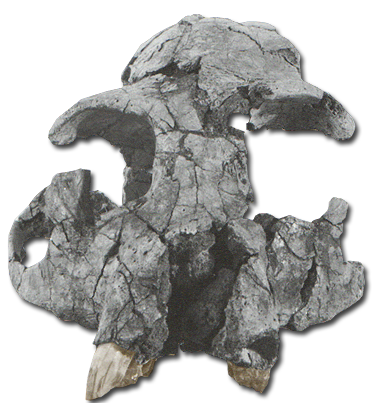 The cranium is wide and the face of Turkanopithecus is short. Thickened supraorbital tori and deep zygomatic arches encase a very wide interorbital region and nasal aperture. Males apparently possessed a sagittal crest and the species exhibited a cranial capacity of approximately 84.3c.c. (Hartwig). The dentition is characterized by a narrow palate with posteriorly converging tooth rows, large maxillary canines in males, and narrow premolars. 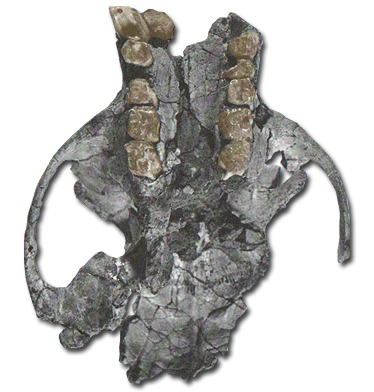 Postcranial remains, which are strikingly similar to Proconsul, suggest a male body weight of approximately 22 pounds. The ulna with its long and proximally directed olecranon process coupled with the long styloid process that articulates with the carpus helps to differentiate Turkanopithecus from Proconsul and possibly gave Turkanopithecus greater climbing abilities (Hartwig).